Green, oh so green. That was my initial thought when I first saw Natasha’s Instagram gallery. Creative photographs, matching colors, and very interesting interior design displays of various plants and signs are what caught my attention, along with her incredibly friendly and positive personality. 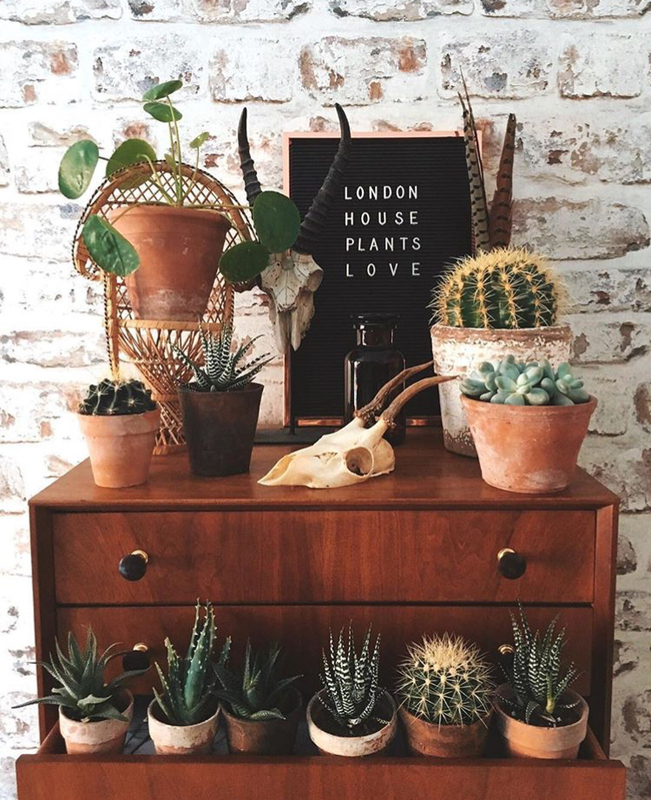 She is based in London, living happily in her ‘Plant Paradise’. 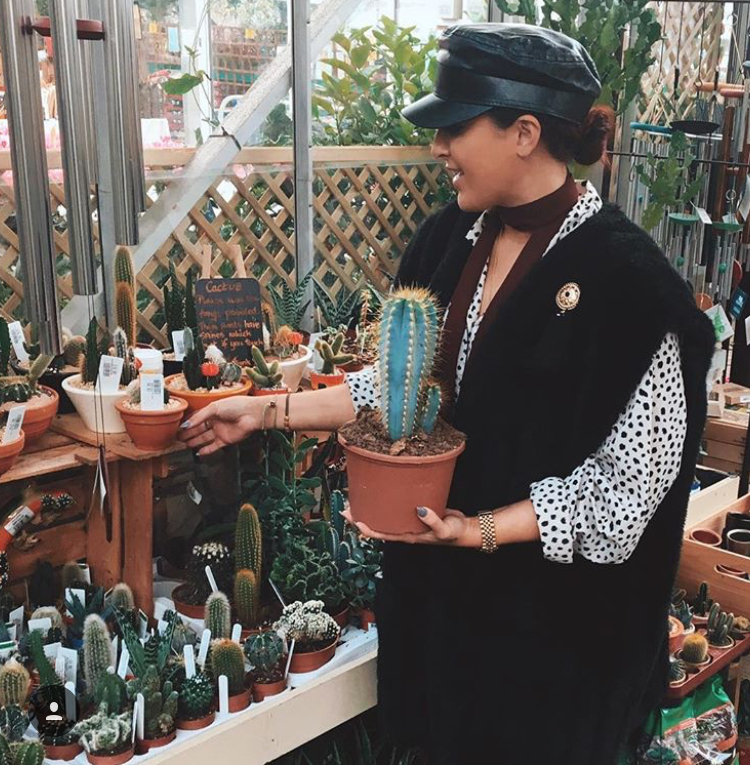 Natasha gives us a little bit of an insight on her plant-filled life and inspirations. 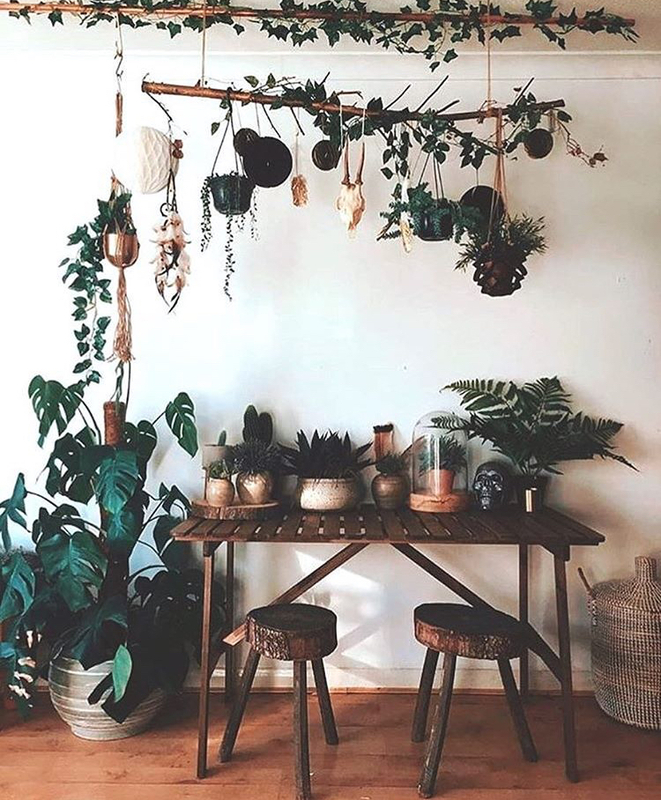 Tell me a little bit about yourself and your plant paradise? My name is Natasha. 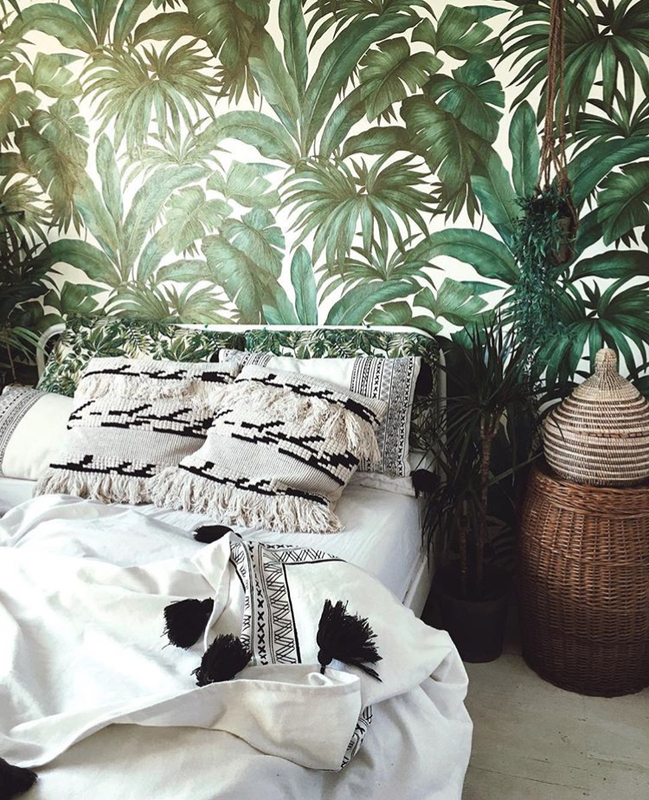 I would describe myself as a jungle-loving plant addict with an immense love for botanically bohemian interiors and all things green! 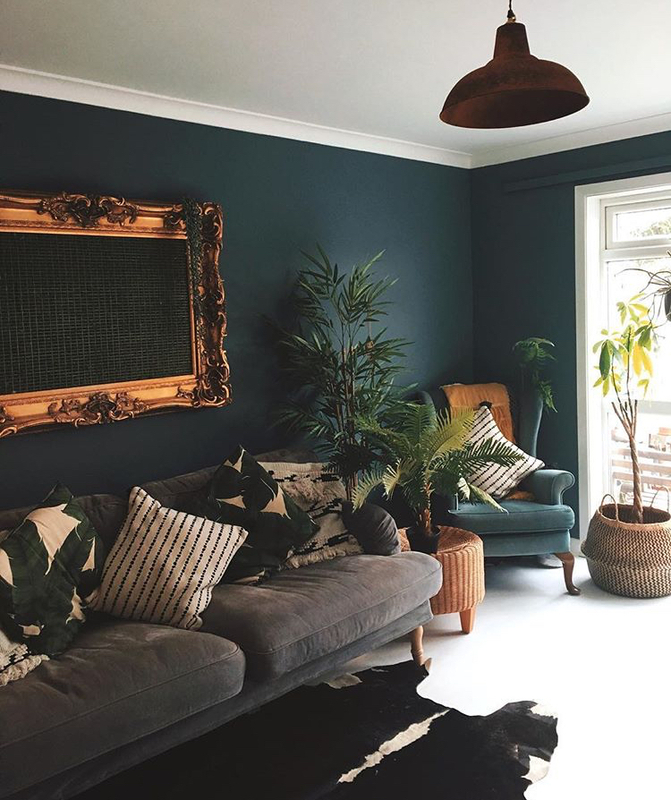 I’ve always had a huge passion for interiors, flea markets, photography & plants so I decided to merge all those delicious things together when creating my home jungle! My favorite plant paradise is my home. It’s the place I can freely express myself and my crazy ideas, and then sit back, enjoy and relax. I describe my paradise as perfectly imperfect. My main aim was to create a jungle oasis where you could enter and immediately forget your troubles and worries and just immerse yourself into the botanical goodness. Every morning I wake up to the plants — I check their progress and growth. I’m forever moving them around to change their displays and visual positions. I shower around plants, change around plants and sleep in a jungle room full. 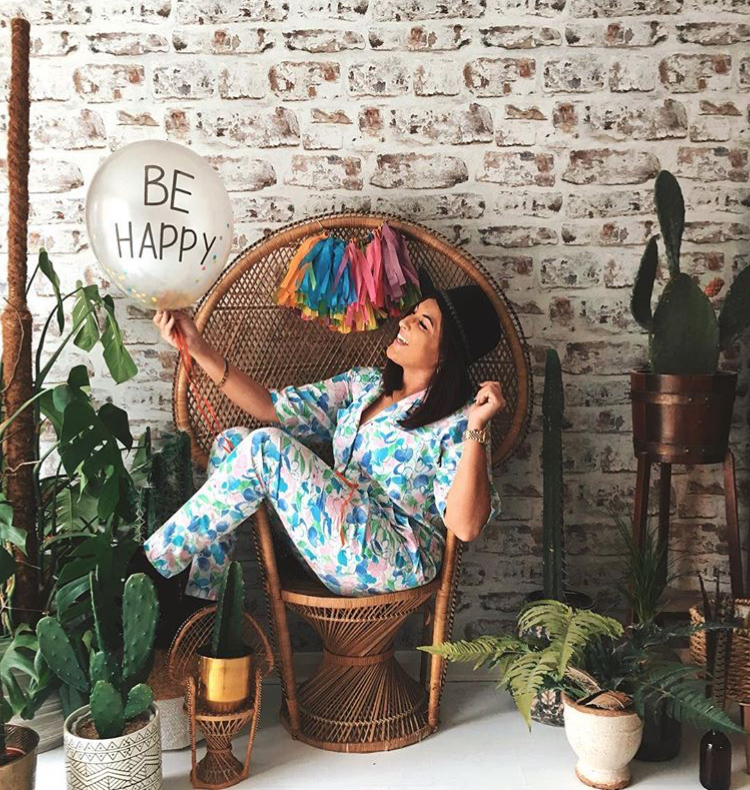 There’s a saying that plants make people happy and I am a firm believer in this. The green life is the good life! The place I get the most inspiration is nature itself. 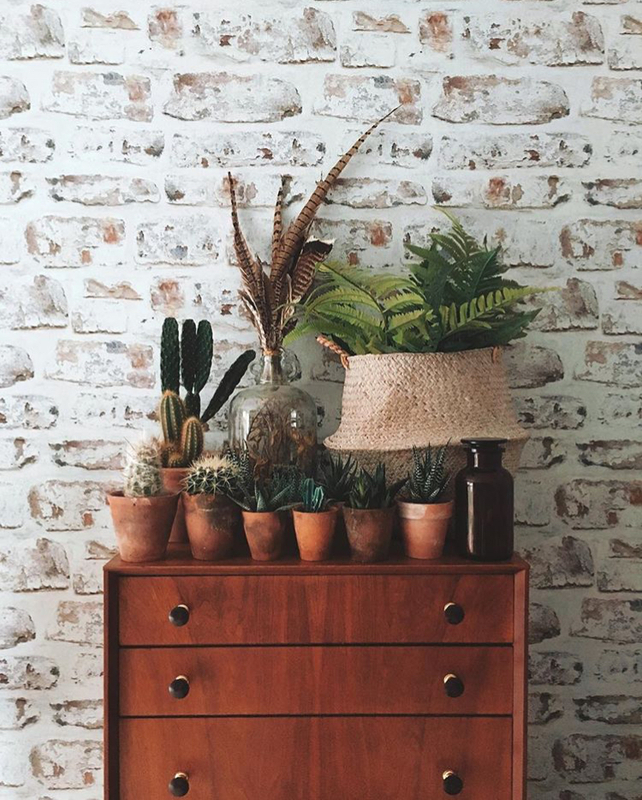 I truly believe you can create a gorgeous interior from items from everyday life. 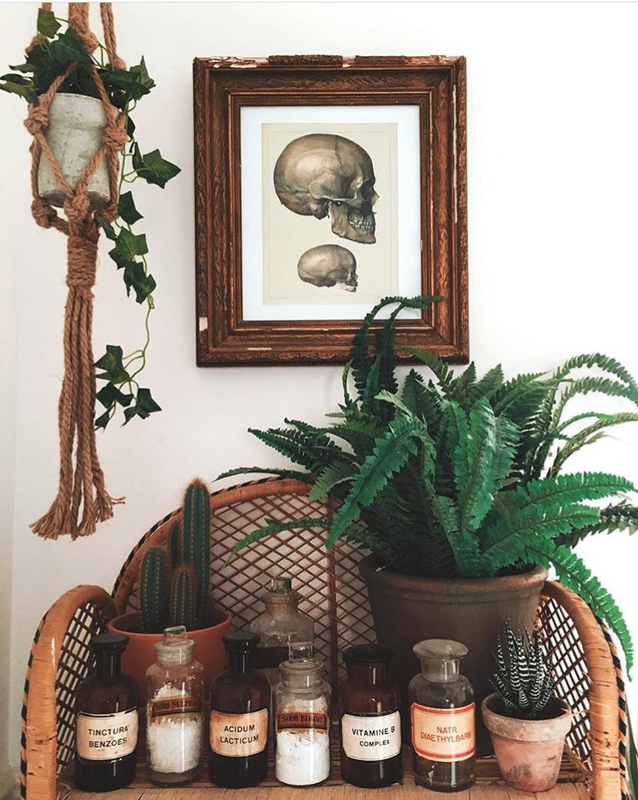 Some pheasant feathers in jars, driftwood for shelves, tree logs for side tables and of course, greenery. 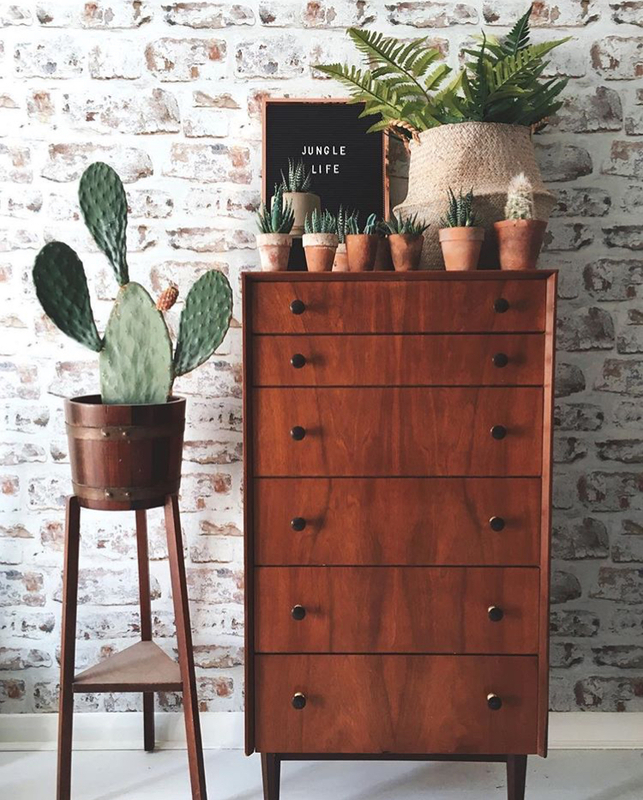 As 95% of our non-nature decor items are from flea markets, I would also say I find those places to be a huge source of inspiration. Look at how the vendor has unintentionally grouped items and displayed items – sometimes their innocent actions can lead to the biggest brainwave idea! 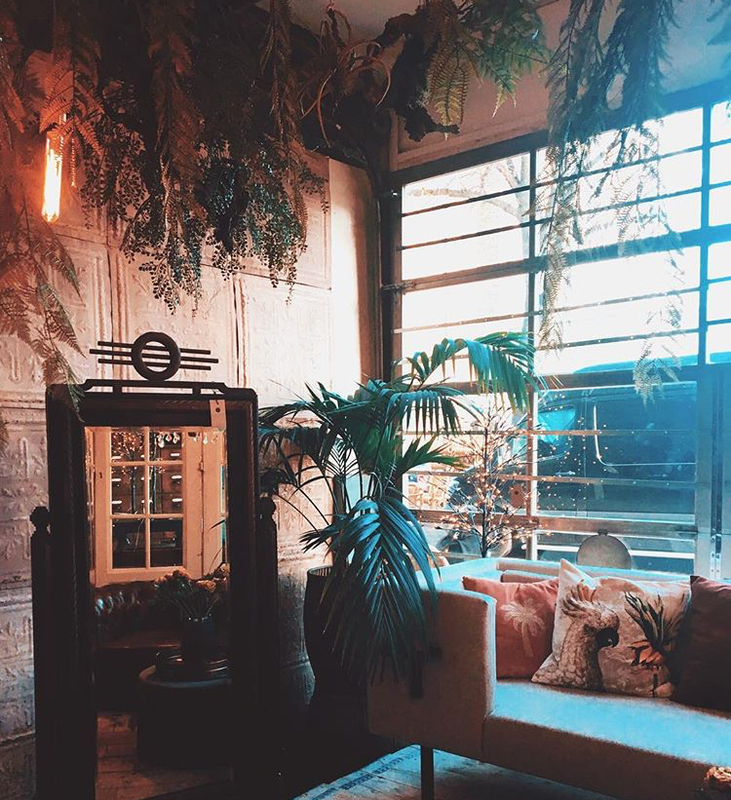 Tell me a little bit about your Instagram gallery, your theme? When I began my Instagram journey I knew I wanted my feed to look as alive as possible. I am an extremely visual person so for me I wanted my feed to reflect that. There’s something so captivating about the deep, vibrant, textures of those little squares, bursting with life! My style is to keep my color palette to a minimum and to dull down my images slightly so that I feel the textures can pop. A little bit of grain I feel works wonders to show off my jungle snaps in all their glory! I’m asked a lot what my favorite plant is and the cactus wins for me every time! I’m not precise as to which exact species, I just have a huge love for the spikey guys! The main thing that makes them my number one is the unique, interesting and wild way in which they grow. Again, it goes back to the minimal color palette. If you see a gang of cactus together, all those hues and shades of green enter-twine magically to create such texture! A feast for your eyes. Your account is very positive, do you have a favorite motto or a saying you would like to share? I’m drawn to positive people and I love the concept of you think is what you attract. If I can have just one person see my photos and it induces a smile – I’m happy. 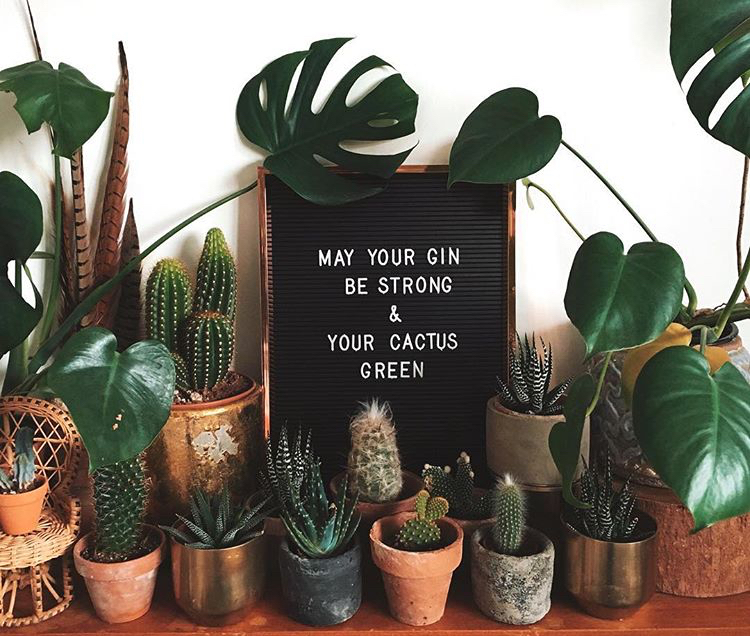 You can follow (and probably should, for your daily jungle inspiration) Natasha and her all things green on Instagram. Also, keep an eye out — she has a blog coming soon! 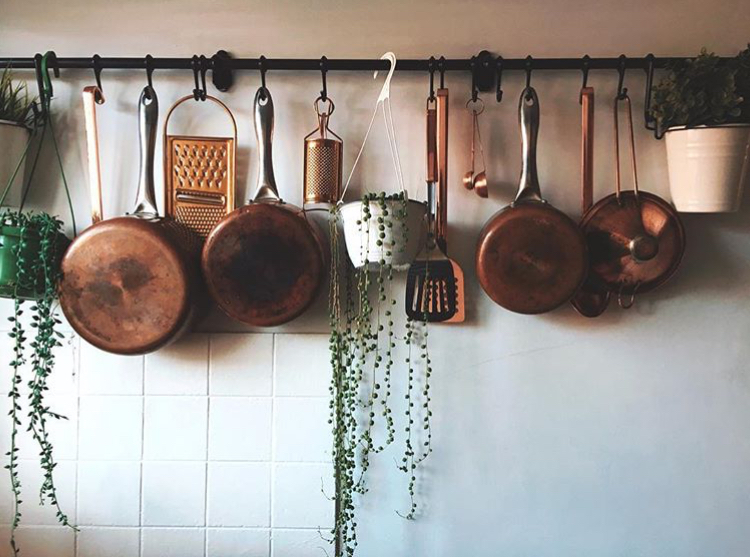 Plants in the kitchen? Of course!! !